A Stock Option Agreement Form is a legal contract between a company granting a stock option and the individual or entity receiving the stock option; an option agreement is usually very brief letter or write up that refers to (and typically incorporates by attachment) the company’s governing stock option plan, and stipulates the date of the grant, the number of shares of stock in the grant, the vesting schedule, and the strike price. 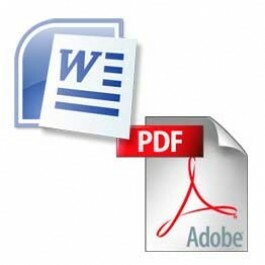 This stock option agreement form is in fillable pdf format as well Microsoft Word File. 1. Introduction. Agreement made ____________________________________ between __________________________________________________________, with offices at _______________________________________________________ (Employer), and _______________________________________________, residing at _________________________________________________ (Employee). 2. Grant of Option. Employer grants to Employee the Option of purchasing shares of Employer's common stock (Shares) in the amounts, at the price, and subject to all the terms and conditions set out in this Agreement. 3. Grant Date of Option. The grant date of this Option is ________________, the date on which this Agreement was executed. 4. Total Number of Shares Available. The total number of Shares that may be purchased by Employee pursuant to this Agreement is [number]. 5. Option Price. The price at which Employee may buy the Shares is____________________________________________________________ dollars ($____________________________________________________________) per Share, the Share's market value on the grant date. 6. When Option Exercisable. Employee may exercise the option rights at any time after ___________ years from the grant date but not later than ____________ years from the grant date. 7. Option Not Exercisable if Employee in Default. The option rights granted by this Agreement may not be exercised if Employee is in default of any obligations owed Employer, whether by operation of law or pursuant to contract. 8. Option Not Transferable. Employee's option rights may be exercised only by Employee or Employee's personal representatives during Employee's lifetime and are not transferable except by will or by the laws of descent and distribution should Employee die intestate. The option rights may not be sold, assigned, pledged, or hypothecated, and any attempt to do so shall be void. The option rights are not subject to levy, attachment, or other process of law, and any attempt to levy, attach, or otherwise transfer the option rights or place liens upon them shall be void. 9. Employee to Remain With Employers. In consideration of the Option granted by this Agreement, Employee agrees to remain in Employer's employ for a period of at least _____________ years from the grant date, unless Employee's employment is terminated before that time by death, disability, or with Employer's consent. Employer reserves the right to terminate Employee's employment for cause or without cause or to change the amount or form of Employee's compensation. 10. Employer's Merger, Reorganization, Etc. If, during the option period but before Employee has exercised all of the option rights with regard to the total number of Shares available for purchase by Employee, the Shares of Employer's common stock are changed into or exchanged for a different number or different kind of shares or other securities, either Employer's or those of another company, this Agreement shall remain in force. However, there shall be substituted for each of the Shares the number and kind of shares or other securities for which each Share of Employer's common stock was exchanged or into which each Share was changed. The shares or securities substituted for each Share of Employer's common stock may be purchased by Employee under this Agreement for the price set for each of the Shares in Paragraph 5. 11. Declaration of Stock Dividends. If Employer issues a common stock dividend on Employer's common stock, the number of Shares that may be purchased by Employee thereafter shall be adjusted as follows: To each of the unpurchased Shares, there shall be added the number of Shares issued as a dividend on each Share of outstanding common stock; each of the Shares together with the additional Shares applicable to that Share shall be bought as one unit for the price set out for each of the Shares in Paragraph 5. 12. Other Changes in Employer's Stock. If there are any changes in the number or kind of Shares outstanding that affect Employer's common stock or the stock or other securities into which Employer's common stock has been changed, other than those described in Paragraphs 10 and 11, a majority of Employer's Board of Directors may make such changes in the Shares available for purchase under this Agreement as the Board of Directors deems appropriate. Any adjustment in the Shares available for purchase made in accordance with this Paragraph shall be binding upon Employee. 13. Employer's Liquidation, Dissolution, Etc. If Employer liquidates or dissolves or enters into a merger or consolidation in which Employer is not the surviving company, Employer shall give Employee at least ___________ months' notice prior to the liquidation, dissolution, merger, or consolidation. Employee shall have the right to exercise this Option in full, to the extent that it had not been previously exercised, within the ___________-month period, even if the date set by Paragraph 6 for the commencement of the option period has not yet arrived. To the extent that Employee's option rights have not been exercised on the effective date of the liquidation, dissolution, merger, or consolidation, they shall terminate. 14. Manner in Which Option Is Exercised During Employee's Lifetime. Any of Employee's option rights may be exercised by Employee or Employee's personal representative during Employee's lifetime by written notice addressed to Employer's corporate Secretary, signed by Employee or Employee's personal representative. The notice shall state the number of Shares to be purchased and shall be accompanied by a certified check payable to Employer for the purchase price of Shares purchased. Immediately following payment of the check, Employer shall issue a certificate or certificates for the Shares purchased in Employee's or Employee's personal representative's name and deliver it or them to the person who signed the notice. 15. Manner in Which Option Is Exercised After Employee's Death. If Employee has not fully exercised the option rights before Employee's death, then the persons designated by Employee in writing on file with Employer or, if no such persons have been designated, Employee's executor or administrator, may exercise any of Employee's option rights during the option period. The rights shall be exercised in the same manner as provided in Paragraph 14 except that the person entitled to exercise the rights shall be substituted for Employee or Employee's personal representative. 16. Violation of Law. The Option granted by this Agreement may not be exercised if its exercise would violate any applicable state securities law, any registration under or any requirements of the Securities Act of 1933, as amended, the Securities Exchange Act of 1934, as amended, the rules of an exchange on which the Shares are traded, any other federal law, or any law of ___________________. 17. Unregistered Stock. If a registration statement for the Shares is not in effect or if Employee's attorneys require writing from Employee to avoid violation of the Securities Act of 1933, as amended, Employer may require a written commitment from the person exercising the Option before delivery of the certificate or certificates for the Shares. The Commitment shall be in a form prescribed by Employer. lt will state that it is the intent of the person exercising the Option to acquire the Shares for investment only and not with the intent of transferring or reselling them; that the person exercising the Option has been told that the Shares may be "restricted shares" pursuant to Rule 144 of the Securities and Exchange Commission and that any resale, transfer, or other distribution of the Shares may only be made in conformity with Rule 144, the Securities Act of 1933, as amended, or any other federal statute, rule, or regulation. Employer may place a legend on the face of the certificate or certificates in accordance with this Commitment and may refuse to permit transfer of the Shares unless it receives satisfactory evidence that the transfer will not violate Rule 144, the Securities Act of 1933, as amended or any other federal statute, rule, or regulation. 18. Agreement Subject to Resolution Adopting Plan. This Agreement shall be subject to the provisions of the resolution of Employer's Board of Directors adopting a Stock Option Plan (the Plan), a copy of which is attached to this Agreement _________________________________________________________________. A majority of the Board may establish rules and regulations, from time to time; regarding the operation of the Plan, all of which shall be applicable to this Agreement provided they are consistent with its provisions.